So, this is it; we're officially heading towards cooler weather and yellow falling leaves as we'll be entering the first week of September in a couple of days. I have to be frank with you. This year, more than any year in the past, I longed for the freshness of fall a little too much. I have so much going on in my head and so many exciting things to work on that I felt like a fish out of water with the summer break and the overall chilled out attitude. I'm eager to welcome my favorite month with a really cozy post that has to do with a favorite subject of mine. Nooks. 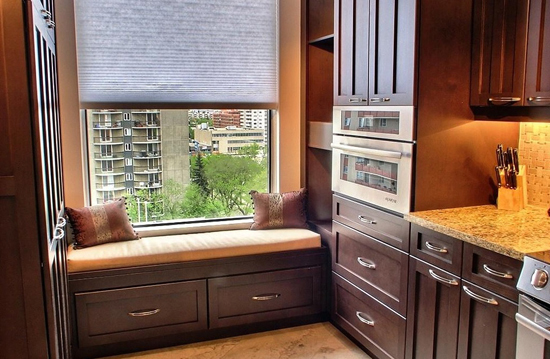 Cozy seats next to a window, often recessed, with cushy pillows, soft fabrics and a great view to the outdoors. What's better that to gaze outside the large window at the fresh fall pouring rain? Funny thing is that, here in Crete, we had a completely dry year (no rain since something like April) and I totally miss the cleansing and invigorating power of falling raindrops. The following photos are here to get us into some serious autumn mood. Enjoy, my friends! 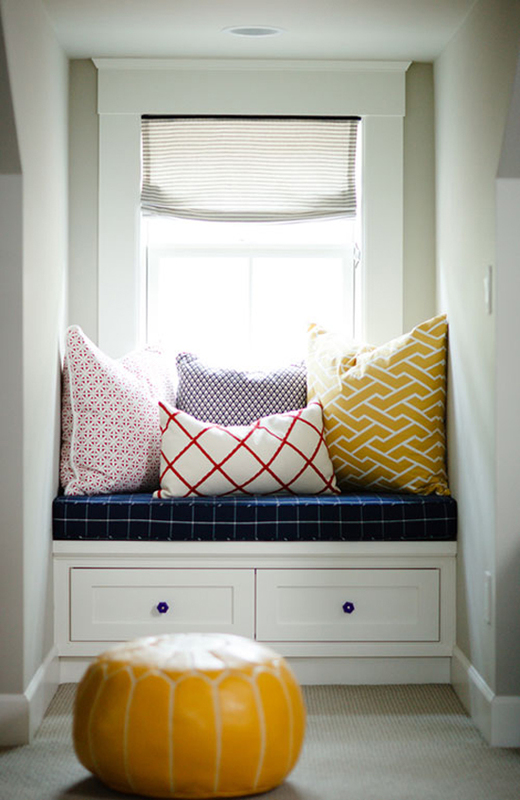 Window seats spots can be found all around the house, in the living room, kitchen, bedroom or study room. I'd love to have a bedroom that'd be big enough to accommodate a recessed window seat for those charming midday power naps. I love the recessed bookshelves on the sides of the niche that can be filled with favorite books to read or couple of photos from your beloved ones and the necessary, practical task lamp right next to them. A window seat in the kitchen sounds like heaven; to have your spouse keeping you company while cooking your favorite meal. How cute is this one in darkwood (via Comfree)? Pillows, pillows, pillows. 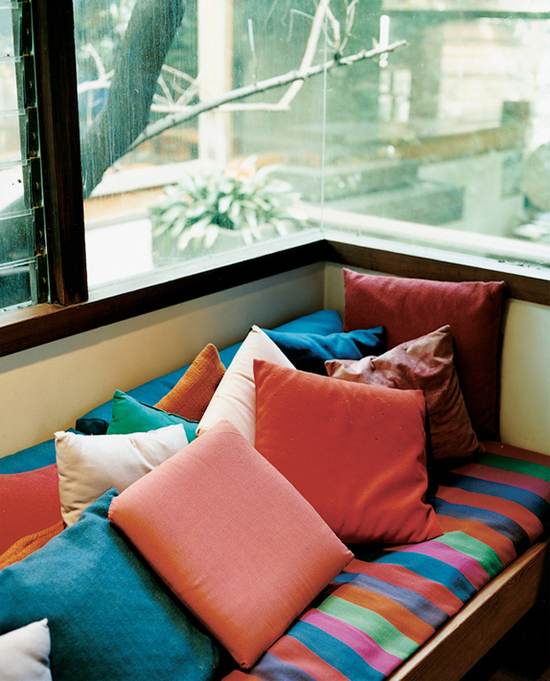 Nothing can make a space more inviting than a large pile of soft, cushy pillows. Enjoy more cozy inspiration: this bed, this bohemian nook, soft and cozy moments, this reading chaise corner, these bedrooms, these corner sofas. 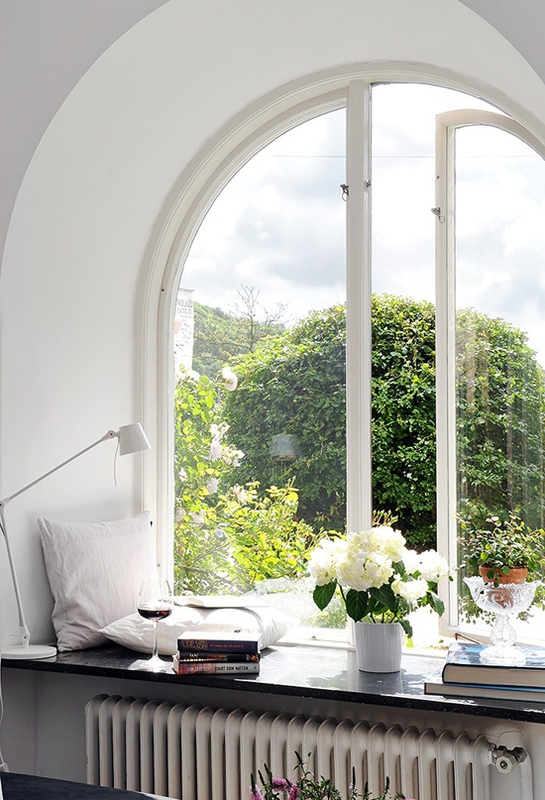 7 comments on "10 cozy window seat nooks"
This is something that I long for...a nook, with a beautiful window that lets in the sunlight and allows me to sit and dream, to read, to sip a cup of tea or a favourite glass of wine...I'm reaching the point in life where it's now or never and I so very much plan to make this happen! OMG gorgeous! I love the 1st 2 the best!!! 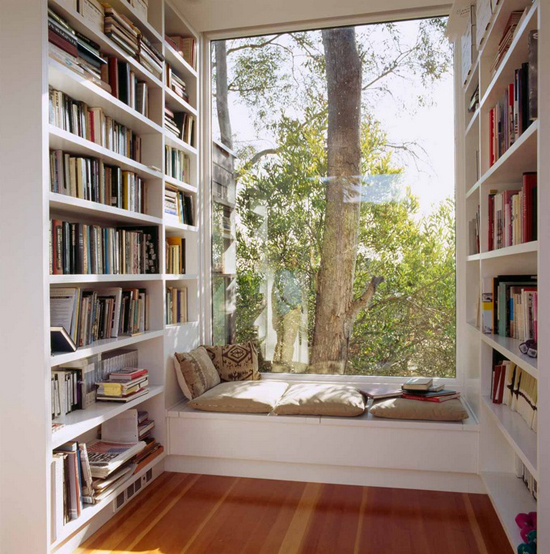 I've always love sitting by the windows while having a good book in my hand. It has always been so relaxing. Always love stopping by your blog when I have a moment. This post has forced me create a new board on Pinterest. 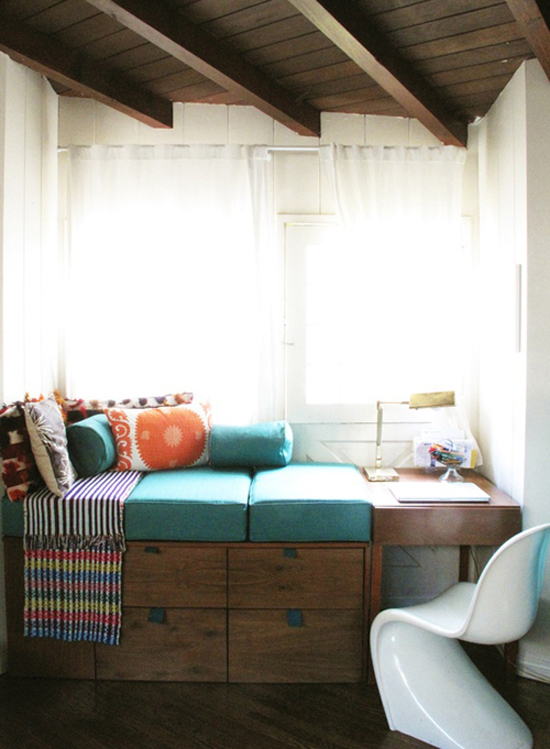 Love a nook!